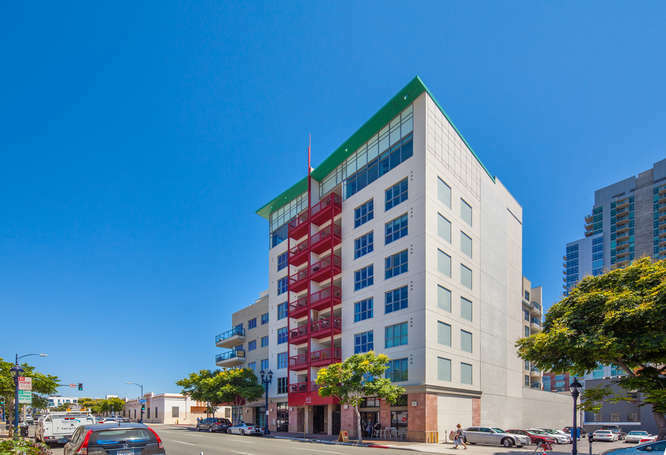 Located at 875 G Street, the Nexus building is an eight-story mixed use building located on the southwest corner of Ninth Avenue and G Street in East Village. Nexus includes 68 condominiums with varying floor plans including studio, one bedroom and two bedroom condos, live/work lofts, as well as street-level commercial/retail space. Nexus was built by Centex Homes and completed in 2006. 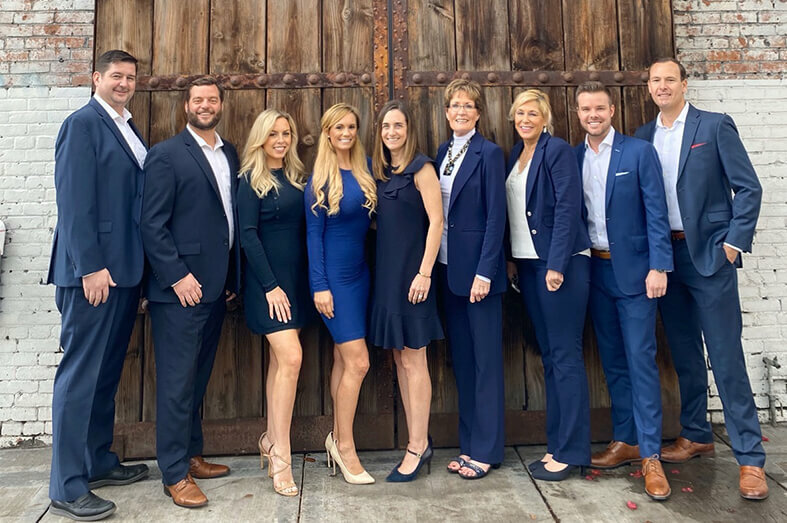 Welcome to San Diego Real Estate’s East Village office is located in Nexus, at 875 G Street, Suite #108. In addition to Welcome to San Diego Real Estate, the other businesses currently located in Nexus are Alterations by Sandra – a seamstress; Razkallah Barber Shop; Ultimate Lash and Brow; and Tokyo Deli Sushi. The Nexus building was updated in 2015 after the HOA settled the construction-default litigation with the developer. The proceeds of the settlement were used for improvements to the building’s exterior and common areas giving the building a fresh, new look. Renovations included modernizing the lobby, a new mail room, fresh paint on the building exterior and interior common areas, common area flooring, upgraded landscaping, and more. Nexus Condos encompass an innovative stepped architecture with burnished brick, metal trellises, projected balconies, roof-lines and exposed steel beams. 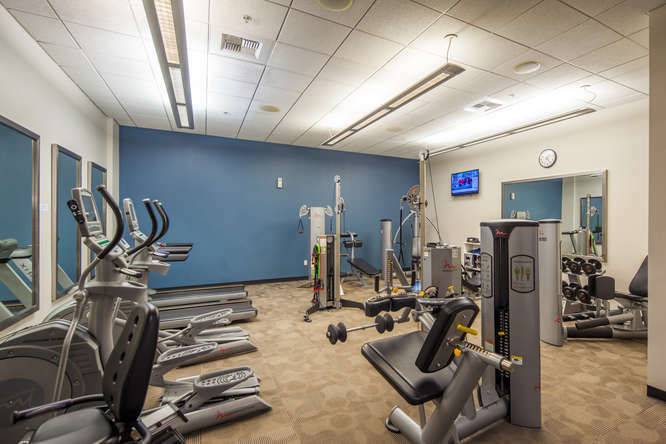 Amenities include a fitness center, clubhouse, underground parking and a 7th floor common terrace. 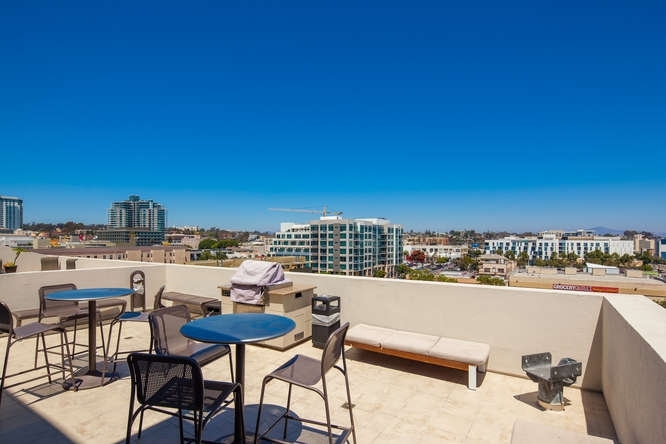 Nexus is located in the coveted East Village, in close proximity to Petco Park, the Gaslamp Quarter and trolley station. 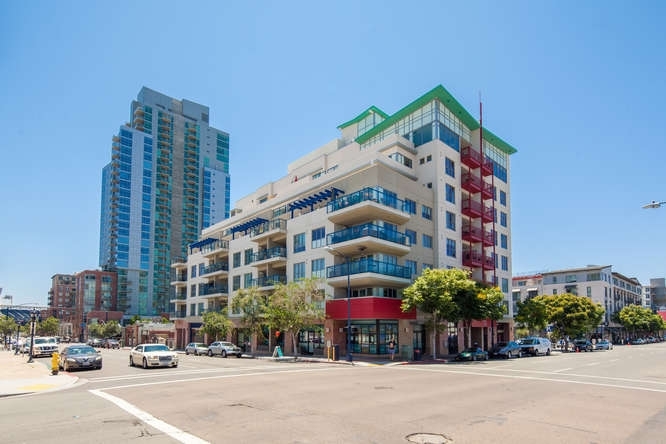 East Village is downtown San Diego’s largest and most developing neighborhood comprised of 130 city blocks, located east of the Gaslamp Quarter and southeast of the Core and Cortez Hill. East Village boasts many educational opportunities for students of all ages. Urban Discovery Academy opened the doors to its brand new East Village school in August 2015 after years at temporary sites. This highly-desirable public charter school for students in grades kindergarten to 8th grade, is the neighborhood elementary and middle school East Village has so desperately wanted. e3 Civic High School opened in August 2013 and is located in the top floors of the Downtown Central Library. Thomas Jefferson Law School and the New School of Architecture, as well as San Diego City College, also bring educational opportunities to downtown. Residents and visitors enjoy the wide variety of restaurants, cafes, rooftop bars, live music venues, boutique shops, and luxury hotels that East Village has to offer. East Village is also home to San Diego’s art district with artists’ homes, galleries, and studios scattered throughout.